We published a profile of Emily Batty prior to the 2016 Rio Olympic Games, so this is an updated version to include the past 18 months. 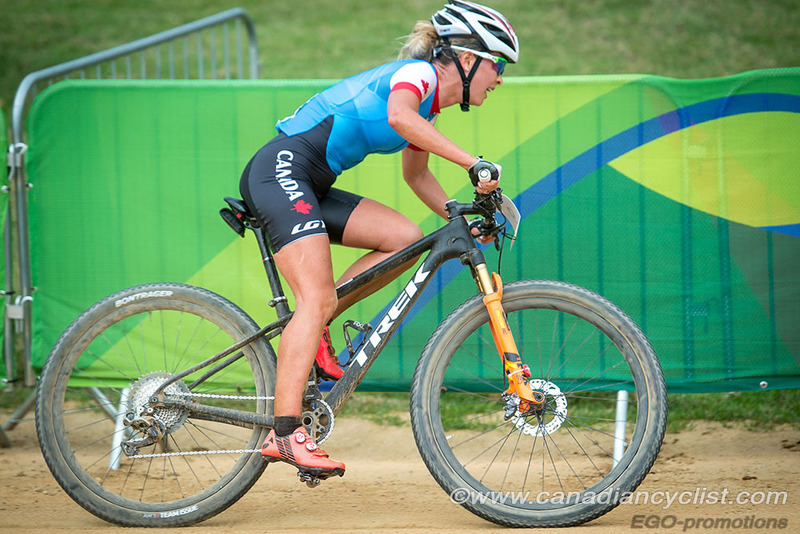 At the Games, Emily will be one of two women in the Mountain Bike competition, and the silver medalist from the 2014 Games. She is also one of the most popular riders on the international circuit, with fan clubs in many countries. Now 29, Emily started mountain biking at age 10, following her two older brothers into the sport. Her progression through the ranks has been textbook, with national titles and world championship appearances starting as a Junior - eight national titles to date, including the current Elite national champion. Internationally, Emily began to make her mark as an Under-23 rider, with wins and top-3 finishes at the World Cup level, and the 2009 Pan-American Championships title. In 2012 Emily had her first career World Cup podiums, with a second and a fourth, plus finishing sixth overall for the World Cup season. It was a bittersweet season, because she also represented Canada at the London Olympics but broke her collarbone in training before the race. Emily still managed to compete, finishing 24th. In 2013 she won her first Elite national title. In 2014, Emily won the silver medal at the Commonwealth Games in Glasgow, Scotland, as well as finishing fourth overall in the season-long World Cup series. 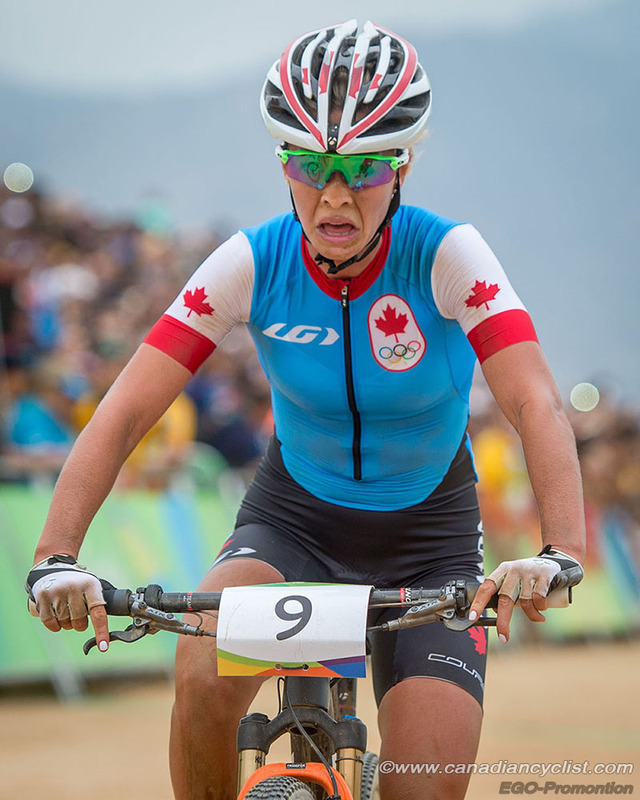 2015 was the start of her breakthrough run up to Rio, beginning with her gold medal on Canadian soil at the Pan Am Games, on her home course at Hardwood Bike and Ski. 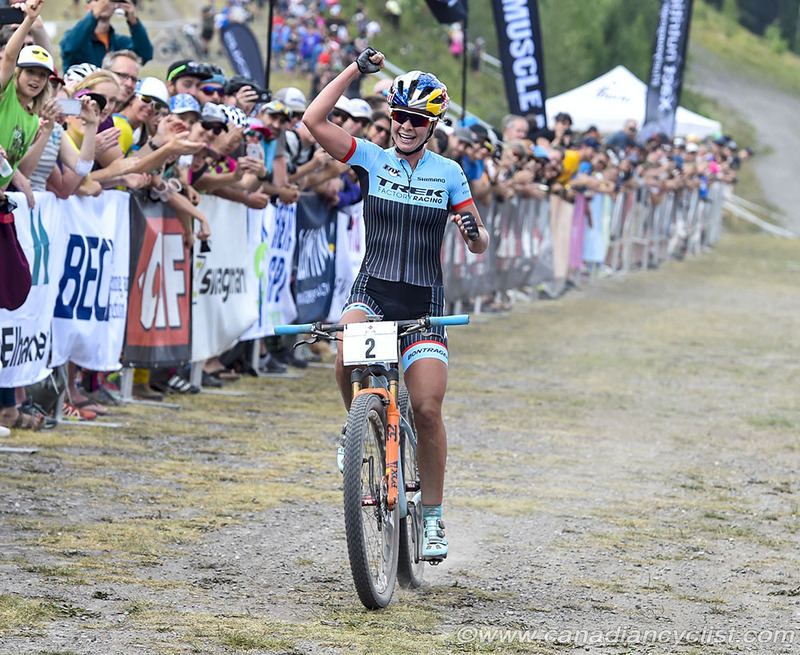 She had three World Cup podiums in 2015, and in 2016 reached her first Elite world championship podium, taking the bronze medal in Nove Mesto, Czech Republic. In the final major competition leading into Rio, Emily was third at the Canadian stop on the World Cup, Mont-Ste-Anne. 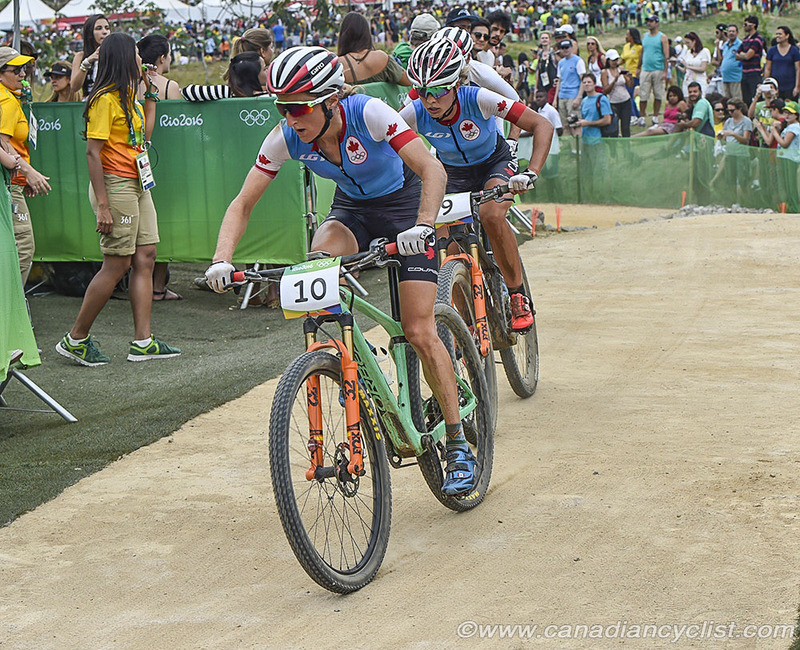 She followed that up with fourth at Rio, in a nail biting battle with Canadian team mate Catharine Pendrel, who took the bronze just metres in front. "Definitely, it was been my best year, but it's hard to remember all the good things when you finish without quite a medal at the Olympics. We were writing down all the results for the year and when I looked at it, it was surprising to me looking at the list ... it was a pretty successful year. I'm proud of it, and the most important part for me was being on point when we wanted to be; to focus on certain events and having that be successful. It is important that knowing what we do to perform at a certain event we have mastered now, and it's now a matter of getting better." "I was pretty gutted ... I was talking to a man who said his team had come over to his place to watch the race and when I came across the line in fourth, the whole room went silent. And I thought that having that feedback come makes it feel that much more real. Hearing it makes me relive it ... in a World Cup fourth is great, but you don't get a medal for fourth at the Olympics. Even watching [Catharine] Pendrel take eight years to come back [from fourth in Beijing] and finally get a medal, it's hard not to think that the opportunity is going to be hard to get back." 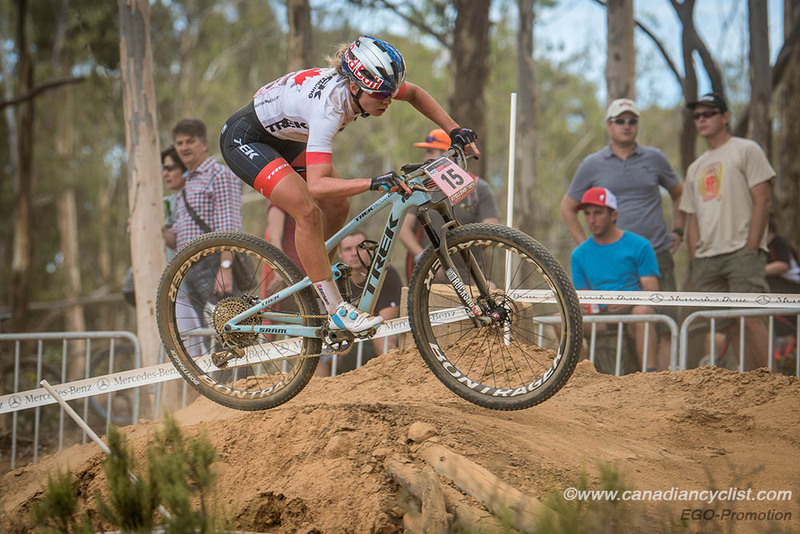 Last season, Emily finished on the podium twice in the World Cup (4-times top-10) and ninth in the overall season standings, the top Canadian. At the world championships she was seventh, finishing after crashing and badly gashing her knee. At the opening round of this season's World Cup, Emily was 14th - the second rider from a Commonwealth country who will be attending the Games. "With the 2018 race season I come in with new motivation, and the Commonwealth Games will be a great race to begin with. I've made some major changes this year, and it will be interesting to see how some of those changes translate to racing and, in particular, a significant Games event. To represent Canada on the international stage is an absolute honour as always, and one I will never take for granted. The competition will be tough, but we have a fantastic team and teammates that increase our chances for success. I also have some reconnaissance data from my Trek Factory Racing Team to better prepare me, plus my fitness and the motivation to win, and I hope to showcase that in Queensland."